Henry Day was born in Clevedon on the coast of Somerset near Bristol, England, in 1836. He arrived in Tasmania aboard the Ocean Chief in March 1855, and moved to Deloraine. In the Anglican Church there on 21 June 1858, He married Mary Morse, daughter of Charles Morse and Sarah Harvey. She was born in 1837 in Purington, Somerset, and came with her father to Tasmania, aboard the Commodore Perry, arriving in Launceston in April 1855. Henry Day had no schooling and could neither read nor write. When first married they lived on a 10 hectare block at Deloraine owned by William Eastley, but later moved to a 20 hectare property at Paddy's Scrub where Charles Morse resided. In 1870 they bought a property in Paradise beside the Dasher River. During 1884 and 1885 he contracted to improve the Sheffield to Harrington main road down to the new River Don Trading Co. store and tramline at Lower Harrington. They ultimately bought a property and erected a home known as "Mt. Pleasant" along Day's Road, which branches westward from the West Kentish road about 2 km from Sheffield. For a time he was on the Kentish Plains Road Trust. In 1900 Henry and Mary Day returned to England for a visit and met four brothers he had not seen for 45 years. In June 1908 they celebrated their golden wedding anniversary with over a hundred guests. 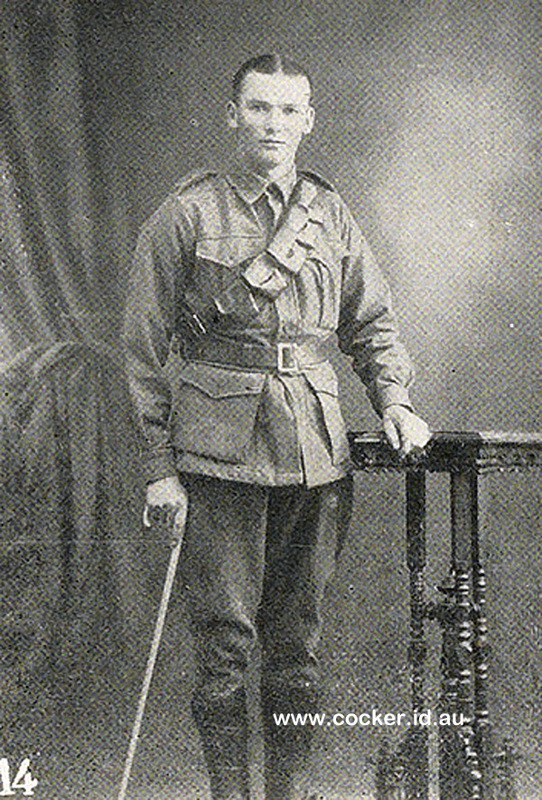 Henry Day died on 3 February 1917, at "Mt. Pleasant", aged 80. His wife, Mary, died 2 April 1927, aged 89. The three Morse Bros, Charles (born 1814), James (born in 1821), and Edwin (born 1826) came from the small village of Puriton, near Bridgewater, Somersetshire in the south west corner of of England. James was the first to come to Van Diemen's land as a young single man of 18, followed many years later by Charles and Edwin with their families. Despite the hardship of those days all three brothers attained a good old age before they died, Charles being 88, James 85, and Edward 81. James Morse migrated to Tasmania in 1838 in company with and as a young employee of Lieutenant Colonel Alfred Harrop and George Baker. He was a young man of splendid physique, over 6 feet in height and built in proportion. The trio lived at Port Sorell for 12 months, following close on the heels of the very first settlers to this lonely northern outpost. Then the partnership dissolved. Alfred Harrop went into the wool broker business became Mayor of Launceston six times. George Baker bought the property Springlawn opposite Port Sorell where the historian James Fenton then lived before going to Perth. James Morse went to Deloraine where, in 1839, there were just a few scattered houses and a convict barracks. He started farming on a portion of the "Calstock" estate and soon became a large property owner and member of Deloraine Road Trust. He owned numerous houses, including the local brewery in Goderick Street and was a prominent figure at race meetings. On 14 January 1855 Charles Morse (his wife having died) and three teenage children, Mary (17), Lottie (15), and George (13), together with Edwin and Jane Morse, with two children, James (3) and William (1), sailed aboard the Commodore Perry and arrived in Launceston in April 1855. They proceeded to Deloraine to join their brother James. Charles Morse settled at Paddy's Scrub near the present golf links, on a farm owned by A. F. Rooke, brother to Colonel Rooke after whom Rooke Street, Devonport, is named. His daughter, Mary Morse, married Henry Day on 21st June 1858, and they later moved to Paradise. Lottie married Harry Jordan, of Deloraine. George married Louie Thomas, whose father later became licensee of the old Family and Commercial Inn, now a folk museum in Deloraine. George and Louie Morse had one daughter, also Louie, the mother dying shortly after the baby was born. This child later married Alf Richardson. George Morse later married Amelia Spicer, daughter of John Spicer of the Elizabeth Town Hotel. In about 1866 the Edwin Morses, George Morse, Henry Day and their families bought land in Kentish and Paradise. Edwin and Jane Morse took up land about 3 km along Day's Road, that branches westward from the West Kentish road. 1-William Morse was born in 1782 in Puriton, Somerset, England, was christened on 20 Oct 1782 in St Michael and All Angels, Puriton, Somerset, England, died on 4 Jan 1854 in Puriton, Somerset, England at age 72, and was buried on 14 Jan 1854 in St Michael and All Angels, Puriton, Somerset, England. William married Elizabeth Griffiths on 17 Nov 1812 in St Michael and All Angels, Puriton, Somerset. Elizabeth was born in 1790 in Burnham, Somerset, England and died on 11 Mar 1885 in Puriton, Somerset, England at age 95. They had nine children: Sarah, Charles, Elizabeth, George, James, William, Edwin, Benjamin and Alfred. 2-Sarah Morse was born on 20 Dec 1812. 2-Charles Morse was born on 7 Aug 1814 in Bridgewater, Somerset, England and died on 7 Oct 1902 in Deloraine, Tasmania at age 88. Charles married Sarah Harvey, daughter of Richard Harvey and Sarah Jones, on 22 Sep 1836 in Puriton, Somerset, England. Sarah was born on 26 Dec 1803 in Shapwick, Somerset, England and died on 14 Oct 1842 in Shapwick, Somerset, England at age 38. They had three children: Mary Anne, Charlotte Harvey and George. 3-Mary Anne Morse was born on 22 Sep 1837 in Shapwick, Somerset, England, was christened on 29 Oct 1837 in Church of the Blessed Virgin, Shapwick, Somerset, England, and died on 2 Apr 1927 in Sheffield at age 89. Mary married Henry Day on 21 Jun 1858 in Deloraine, Tasmania. Henry was born about 1836 in Clevedon, Somerset, England and died on 3 Feb 1917 in Mount Pleasant aged about 81. 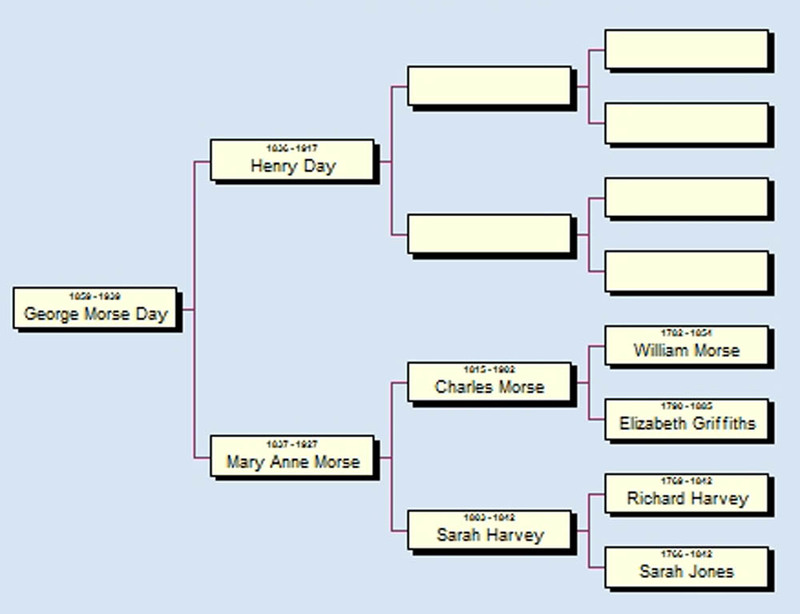 They had six children: George Morse, Eva Harvey, Leslie, Henry James, Charles and Sarah Ann. 4-George Morse Day was born on 30 Apr 1859 in Deloraine, Tasmania and died on 24 Dec 1939 at age 80. George married Jane Evangeline Cocker, daughter of John Cocker and Sarah Elizabeth Briggs, on 26 Jun 1892 in Home of John Cocker, Barrington, Tasmania. Jane was born on 22 Oct 1870 in Westbury, Tasmania, was christened on 26 Mar 1871 in Mersey Circuit, Latrobe, and died on 14 Mar 1898 at age 27. Another name for Jane was Eva. They had three children: Albert George, Henry Benjamin and Mildred Alice. George next married Mary Carey in 1929. 4-Eva Harvey Day was born on 17 Apr 1863 in Deloraine, Tasmania and died on 10 Jan 1955 in Tasmania at age 91. Eva married Robert Duff. 4-Leslie Day was born on 1 Apr 1867 in Deloraine, Tasmania. Leslie married Maud Drake. 4-Henry James Day was born on 3 May 1873 in Port Sorell, died in 1960 at age 87, and was buried in Sheffield. Henry married Annie Young on 16 May 1894 in Sheffield. Annie was born in 1875, died on 28 May 1955 at age 80, and was buried in Sheffield General Cemetery. 4-Charles Day was born on 29 Mar 1875 in Port Sorell and died on 4 Jun 1957 at age 82. Charles married Isabella Charlston. 4-Sarah Ann Day was born on 11 Mar 1877 in Port Sorell and died on 25 Jun 1954 in Sheffield at age 77. Sarah married Robert Braid. 3-Charlotte Harvey Morse was born on 15 Apr 1839 in Shapwick, Somerset, England and died on 23 Jan 1928 in Ophir, Deloraine at age 88. Another name for Charlotte was Lottie. Charlotte married Henry Jordan, son of John Jordan and Frances Fanny Quinn, on 14 May 1867 in Holy Trinity Church, Launceston, Tasmania. Henry was born on 15 May 1841 in White Hills, Tasmania and died on 5 May 1915 in Quamby Brook at age 73. 3-George Morse was born on 11 Dec 1840 in Shapwick, Somerset, England, was christened on 10 Jan 1841 in Church of the Blessed Virgin Mary, Shapwick, Somerset, England, and died on 16 Jun 1923 in Sheffield at age 82. George married Sarah Amelia Spicer, daughter of John Spicer and Sarah Ann Roberts, on 25 Jun 1879 in St Marks Church of England, Deloraine. Sarah was born on 8 Jun 1857 in Deloraine, Tasmania, died on 12 Jul 1919 in Latrobe Hospital at age 62, and was buried in Sheffield. They had ten children: Victor Roy Vernon, Ada Bernice Lillian, Ella Beatrice, Effie May, Ivy Beryl, Ira Granville, Clive Spicer, Ruby Mabel, Arnold Reuben and Cyril Baden Powell. 4-Victor Roy Vernon Morse was born in 1880 in 1961. 4-Ada Bernice Lillian Morse was born in 1882 in 1953. 4-Ella Beatrice Morse was born in 1884 in 1953. 4-Effie May Morse was born in 1886 and died in 1886. 4-Ivy Beryl Morse was born in 1887. 4-Ira Granville Morse was born in 1889 and died in 1967 at age 78. 4-Clive Spicer Morse was born on 19 May 1892 in Sheffield and died on 8 Nov 1958 at age 66. Clive married Nellie Vera Kirkcaldy, daughter of James Alexander Kirkcaldy and Rosina Overton, on 27 Feb 1918 in Sheffield. Nellie was born on 16 Sep 1896 in Sheffield and died on 30 Jun 1979 at age 82. They had one son: Frank. 5-Frank Morse was born on 30 Jul 1919 in Sheffield and died on 25 Jul 1987 at age 67. Frank married Dorothy Richardson, daughter of Victor Richardson and Emily Florence (Queenie) Southernwood. Dorothy was born on 10 Feb 1925. They had three children: Miriam, Heather and Kevin. 6-Miriam Morse was born on 2 Feb 1952. Miriam married Christopher Robinson. Christopher was born on 11 Mar 1949. They had four children: Julian, Zackari, Georgia and Alexander. 7-Julian Robinson was born on 24 Jul. 7-Zackari Robinson was born on 4 May 1975. 7-Georgia Robinson was born on 8 Feb 1979 and died on 18 Feb 1979. 7-Alexander Robinson was born on 5 Aug 1981. 6-Heather Morse was born on 9 Sep 1953. Heather married Dale Barnes. Dale was born on 11 Jun 1951. They had three children: Anthony, Christine and Katie. 7-Anthony Barnes was born on 23 Jul 1977. 7-Christine Barnes was born on 25 Feb 1980. 7-Katie Barnes was born on 11 Nov 1984. 6-Kevin Morse was born on 14 May 1955. Kevin married Elizabeth Dobson. Elizabeth was born on 22 Nov 1963. 4-Ruby Mabel Morse was born on 28 Jul 1894 in Sheffield and died on 24 Jun 1977 at age 82. Ruby married Eric George Edmund Lord, son of George Edmund Lord and Amelia Lucy Lane. Eric was born in 1890 in Sheffield and died on 16 Apr 1973 in Wivenhoe, Tasmania at age 83. 4-Arnold Reuben Morse was born in 1897 and died in 1977 at age 80. George next married Louisa Amelia Thomas, daughter of convict ↑John Thomas and Charlotte Hughes, on 15 May 1873 in St Marks Church of England, Deloraine. Louisa was born on 2 May 1845 in Longford, Tasmania, died on 4 Apr 1874 in Paddy's Scrub, Osmaston at age 28, and was buried in 1874 in General Cemetery, Deloraine, Tasmania. They had one daughter: Louisa Charlotte Thomas. 4-Louisa Charlotte Thomas Morse was born on 27 Mar 1874 in Deloraine, Tasmania and died on 7 Jul 1948 in Chudleigh, Tasmania at age 74. Louisa, aged 18, had an illegitimate son in Launceston on 22 June 1892. Hervey Ira Morse was adopted by her grandfather, Charles and his third wife Ellen. Louisa married Alfred John Richardson, son of Isaac Simeon Richardson and Mary Ann Walker, on 19 May 1897 in Calstock (home of Charles Morse), Deloraine, Tasmania. Alfred was born on 20 Mar 1872 in Westbury, Tasmania, died on 10 Apr 1937 in Chudleigh, Tasmania at age 65, and was buried in Apr 1937 in General Cemetery, Deloraine, Tasmania. They had six children: Harold Isaac George, Leila Effie May, Ella Louisa Mary, Arnold Alfred Charles, Ethel Amelia Ellen and Raymond Vernon Irra. Their story is told here in the Walker family history. Charles next married Elizabeth Jane Ward on 10 May 1860 in Deloraine, Tasmania. Elizabeth was born in 1814 in Deloraine, Tasmania and died on 21 Mar 1865 in Deloraine, Tasmania at age 51. Charles next married Ellen Emma Bird, daughter of convicts ↑James Bird and ↑Ann Rickett, on 31 Dec 1874 in Deloraine, Tasmania. Ellen was born on 16 Apr 1850 in Launceston and died on 23 Dec 1924 in Karoola at age 74. They had three children: Hervey Ira (adopted see above) Charles James and James Charles. 3-Hervey Ira Morse† was born on 22 June 1892 in Launceston. 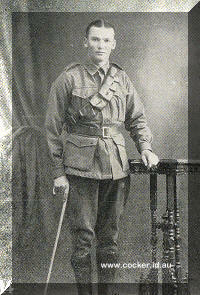 He served in the First World War in the 3rd Light Horse Regiment, C Squadron. He died of wounds on 26 Feb 1917 and was buried at Bazentin-Le-Petit Military Cemetery (Row G, Grave No. 23), France. 3-Charles James Morse was born on 19 Feb 1876 in Deloraine, Tasmania. Charles married Ruth Cox, daughter of Edward Cox and Ruth Hillier, on 29 Apr 1915 in Sheffield, Tasmania. They had three children: Ethel Helena, Bertha Alma and Thelma May. 4-Ethel Helena Morse was born on 7 Jun 1916 in Paddy's Scrub, Osmaston. 4-Bertha Alma Morse was born on 26 May 1918 in Paddy's Scrub, Osmaston. 4-Thelma May Morse was born on 26 Sep 1919 in Paddy's Scrub, Osmaston. 3-James Charles Morse was born on 19 Feb 1876 in Deloraine, Tasmania and died in 1945 at age 69. James married Ellen Margaret Donnelly on 17 Jan 1905 in Latrobe, Tasmania. They had three children: Nellie Paula, James John and Jeanette Mary. 4-Nellie Paula Morse was born on 31 May 1908 in Devonport, Tasmania. 4-James John Morse was born on 2 May 1916 in West Devonport, Tasmania. 4-Jeanette Mary Morse was born on 26 Nov 1918 in Burnie, Tasmania. 2-Elizabeth Morse was born on 3 Mar 1816. 2-George Morse was born on 25 Dec 1818. 2-James Morse was born on 15 Feb 1821 and died on 9 Jan 1906 at age 84. He married convict ↑Mary Thorpe in Launceston on 19 Mar 1845. They had a daughter Mary. 3- Mary Morse was born on 26 Nov 1850 in Westbury, Tasmania. 2-William Morse was born on 15 Feb 1824 and died on 26 Nov 1857 at age 33. 2-Edwin Morse was born on 6 Aug 1826 and died on 4 Jun 1907 in Sheffield, Tasmania at age 80. Edwin married Jane Hucker. Jane was born in 1832 in Bridgwater, Somerset, England and died on 4 May 1901 in Sheffield, Tasmania at age 69. They had eight children: James Hucker, William Ernest, Edwin, Elizabeth Jane, Amelia, Eliza, Louise Linda and George Albert. 3-James Hucker Morse was born in Jun 1852 in Somerset, England and died in 1912 in Port Frederick at age 60. James married Isabella Charleston, daughter of John Charleston and Isabella Scott Braid, on 15 Feb 1877 in Port Sorell. Isabella was born in 1855 in Scotland and died on 7 Jun 1935 in Devonport at age 80. 3-William Ernest Morse was born in Dec 1854 in Somerset, England and died on 1 Aug 1909 in Hobart, Tasmania at age 54. William married Clara Rogers, daughter of Joseph Rogers and Mary Jane Lavington, on 27 Jun 1877 in Deloraine, Tasmania. Clara was born in 1854 in Deloraine, Tasmania and died on 16 Mar 1938 in Sheffield at age 84. They had seven children: Ethel Louisa, Ernest William, Raymond Rheuben, Jane Amelia, Laura Martha, John Wesley and William Lavington George. 4-Ethel Louisa Morse was born on 22 Mar 1882 in Sheffield, Tasmania. 4-Ernest William Morse was born on 3 Sep 1886 in Sheffield, Tasmania. Ernest married Dorothy Ella Wright. They had two children: William George and Leslie Ernest. 5-William George Morse was born on 17 Jan 1914 in Sheffield, Tasmania. 5-Lelsie Ernest Morse was born on 27 Aug 1917 in Sheffield, Tasmania. 4-Raymond Rheuben Morse was born on 5 Jul 1888 in Sheffield and died on 17 Apr 1963 in Sheffield at age 74. Raymond married Millicent Eva Daisy Smith, daughter of Alexander Smith and Gertrude Ann Jubb, in 1913. Millicent was born on 30 Nov 1887 in Sheffield. 4-Jane Amelia Morse was born on 12 Mar 1890 in Sheffield, Tasmania. 4-Laura Martha Morse was born on 23 Jul 1893 in Sheffield, Tasmania. 4-John Wesley Morse was born on 27 Apr 1895 in Sheffield, Tasmania. 4-William Lavington George Morse was born on 26 Sep 1901 in Sheffield, Tasmania. 3-Edwin Morse was born on 18 May 1856 in Westbury, Tasmania. Edwin married Elizabeth Ann Johnson, daughter of John George Johnson and Maria Thompson, on 31 Jan 1883 in Sheffield, Tasmania. Elizabeth was born on 27 Oct 1859 in Port Sorell. They had five children: Edwin John, Edith Isabella Jane, Ida Elizabeth, George and Ivy Amelia. 4-Edwin John Morse was born on 22 May 1886 in Port Sorell. 4-Edith Isabella Jane Morse was born on 9 Sep 1890 in Sheffield, Tasmania. 4-Ida Elizabeth Morse was born on 14 Feb 1893 in Sheffield. 4-George Morse was born on 27 Dec 1896 in Port Sorell. 4-Ivy Amelia Morse was born on 2 Oct 1899 in Mersey, Tasmania. 3-Elizabeth Jane Morse was born on 3 May 1858 in Deloraine, Tasmania. 3-Amelia Morse was born on 6 Aug 1860 in Deloraine, Tasmania. 3-Eliza Morse was born on 28 Jun 1862 in Deloraine, Tasmania. 3-Louise Linda Morse was born on 5 Jun 1864 in Deloraine, Tasmania. 3-George Albert Morse was born on 9 Sep 1866 in Port Sorell. 2-Benjamin Morse was born on 4 Jan 1829. 2-Alfred Morse was born on 1 May 1831. William next married Sarah Durston on 1 Nov 1807 in St Michael and All Angels, Puriton, Somerset.